The Joseph Conrad short story on which Patrice Chéreau has based this superbly orchestrated and pleasingly filmic portrait of the disintegration of a marriage in pre-World War I Parisian high society is ‘The Return’. It’s a tale which itself offers hints of Tolstoy’s near-contemporary novella, ‘The Death of Ivan Ilyich’ (on which Bernard Rose based his excellent 2000 film ‘Ivansxtc’). Both Conrad and Tolstoy, and now Chéreau, present portraits of powerful men and women at the cusp of modernity who enjoy privilege but whose wealth, pride and ambitions – inherited and sought – veil them from a sham at the core of their lives. Pascal Greggory is Jean Hervey, a stern and taciturn man with sterner whiskers, whom we meet emerging from the rush-hour crowd one Wednesday afternoon as he returns to his grand city home and his wife of ten years, the beautiful, controlled Gabrielle (Isabelle Huppert). The voiceover tells us that he’s a ‘man with money and friends’, ‘tall and healthy’, and a flashback (from black-and-white to colour, a jolting mechanism used throughout) to a week earlier shows us Jean and Gabrielle as they host one of their ‘famous’ weekly dinners at which a gaggle of the city’s beau monde share witty exchanges, play cards and gossip tastefully. Back to the present, and on this evening, Jean’s house is empty and lifeless, give or take the odd servant, and Chéreau and his cinematographer Eric Gautier lend the house a cool, shadowy light, all dark blues and chilly greens. Soon, Jean discovers a letter from his wife, and Chéreau shocks us – and Jean – out of our complacency with a nifty piece of sudden camerawork involving mirrors. The shock causes Jean to drop his whisky glass and the film jumps from black-and-white into colour. Gabrielle has left Jean. Then, minutes later, the news still wet on the page, she returns home. She’s changed her mind. And she’s transformed her world of manners and rituals and habit and forced her and her husband into a post-mortem of a loveless, sexless marriage. The rest of the film deals with the fallout from Gabrielle’s decision first to leave and then to stay. Awkward discussions are punctuated with attempts to live life as normal: a dinner party, the rituals of eating and dressing. 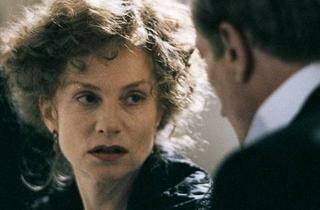 Most satisfying is how Chéreau decides to give equal measure to dialogue, photography and music. A chilling orchestral score slips in and out, and some classic, sweeping camerawork uses the labyrinthine house and its chorus of servants to stress the social fallout of Gabrielle’s decisions. 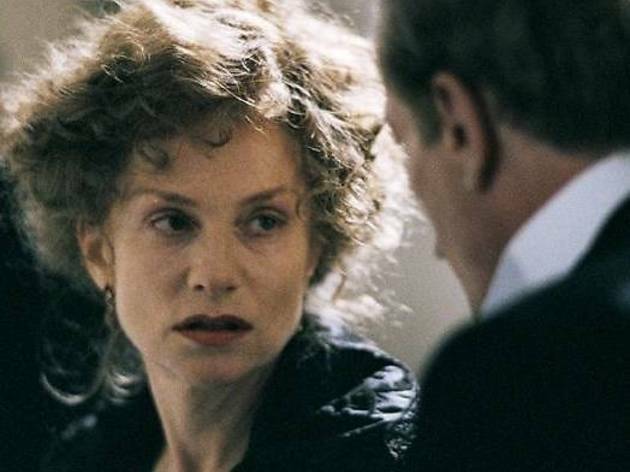 Huppert and Greggory, with credible and precise dialogue, handle excellently the contrast between the formal and the intimate – an opposition which is powerful and consistently uncomfortable. One minute Jean is considering out loud and with cold reason how to hide this disgrace from his friends; the next Gabrielle is raking over her sexless marriage and declaring that ‘the thought of your sperm inside me is unbearable’. Chéreau and regular screenwriter Anne-Louise Trivdic tweak Conrad’s original a little – moving the action from London to Paris, shifting the story forward a few years to 1912 and giving more of a voice to Gabrielle – but this is a careful and cinematic adaptation that rings with painful truth.